What do you like most about where you work? I am very lucky in that I work from home which is an office within the grounds of a farm cottage; my office view is that of the rolling Dryfe Valley speckled with sheep and cattle. Initially, I ran my business from the cottage, but now the practice has grown, I purchased and renovated a Portacabin so that I now have more space for visiting clients and additional staff. Working where I am also means that despite my separate office, I still have a great work-life balance in that I am able to spend more time with my son and my husband, who, as a cattle stockman for the farm, works very long hours. 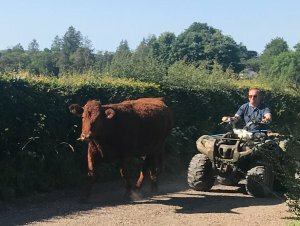 My closest neighbours are deer, swans and rabbits and the only traffic jams I encounter during visits to my clients are tractors, cattle herds and the odd rogue sheep! 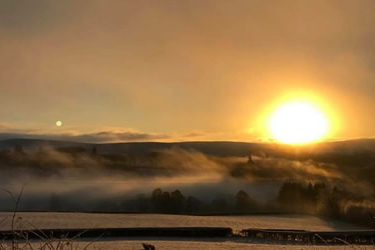 What challenges do you face running a rural practice? The rural nature of where we live means that I have to travel long distances to visit my clients (who also often live in rural areas) or they have to make an appointment to visit me (along with a map to find my cottage!). However, my map reading skills have improved considerably since the Sat Nav is often unreliable because the postcode can cover a very wide area. But I am happy soaking in the stunning scenery as I drive along! What do you enjoy most about running your own practice? Working for myself, I love the fact that I can deal directly with all my clients which I didn’t have in my previous commercial roles. I really enjoy getting to know them and their businesses, and as a small business owner myself, I know how important it is to set up strong and trusting relationships with them; many have become good friends. My conscientiousness and attention to detail is also always something I receive positive feedback on from my clients. Also, because rural small business owners cannot always easily meet up for networking events, I tend to do much of my networking on social media, and through local family and friends’ connections, I often get client recommendations on Facebook and find this helps me to keep ‘plugged into’ my community. It is challenging making time for hobbies and holidays when you are running your own business, but I have always enjoyed paper crafting and jewellery making. I do try to give a little back to my community with my work on the Hutton Fellowship Committee and the Dumfriesshire East Community Benefit Group. These committees distribute the grant funding, generated from local wind farms, to community projects that enhance the life and welfare of local residents. I really enjoy my work with them; we’ve funded projects for the local village school and hall, and we have just finished working with a local web designer to create a new Facebook page, website and logo for Hutton Fellowship Committee. I also undertake the treasury work for the committee for obvious reasons! In addition, I support, where I can, a charity that is very close to my heart; Sports Driving Unlimited. This local family and community spirited charity allows children and adults with various spectrums of disabilities and learning difficulties to have a therapeutic interface with horses and ponies, and ultimately compete within the field of equestrian sport against able-bodied competitors at a national level. 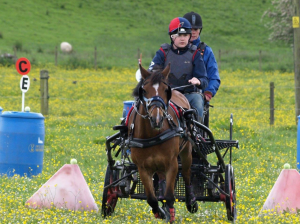 As my son is deaf, he has grown up with this charity and has competed in various carriage driving events including the British National Championships. I was also delighted when AIMS supported this charity at their annual conference in 2017. Lastly, I just enjoy watching the changing seasons of the beautiful Dumfries and Galloway countryside. If you are local to Theresa and would like to work with her, you can contact her through her page here.